ROW BOATS! Monday was all about abs. We rowed our boats through the fountain at Washington Square Park. Did you hear? 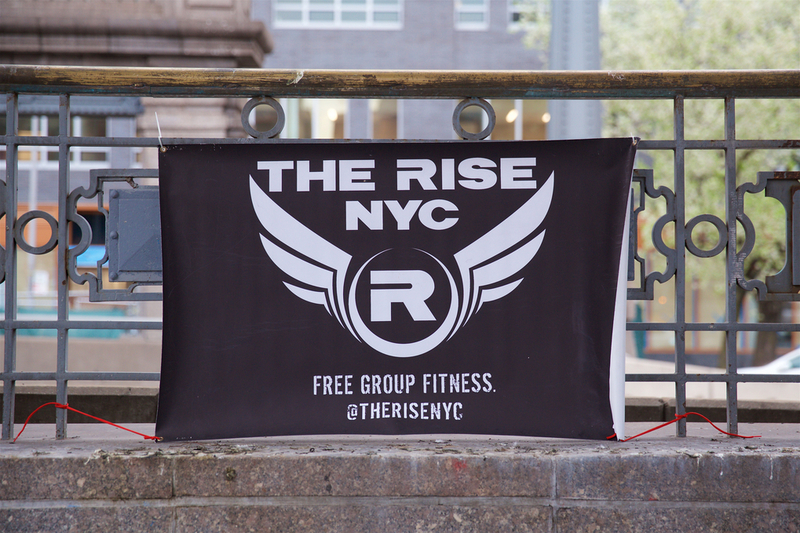 The Rise now also meets every Tuesday in BROOKLYN at Grand Army Plaza. These workouts are geared towards team style workouts and just being generally awesome. More info HERE! Wednesday was a workout for the people, by the people. We let YOU decide what you wanted the “Joker” card to represent during the deck of cards workout. The people spoke and they said BURPEES! Friday was OCR (Obstacle Course Race) day on the Williamsburg Bridge. We sprinted, we karaokied, we jump squatted, and gave out a record number of high fives. Next week is going to be even better! We have some exciting workouts planned. Join us and earn that Thanksgiving turkey!